I never took to St Patrick’s Day celebrations, not having taken the time to understand what it was all about. Wearing green certainly didn’t entice me. I didn’t see how leprechauns, pots of gold and funny hats were relevant to my life (well maybe the pots of gold could be), until one day, not many years ago. I was watching a “What’s in the Bible” DVD with my son. One of the shows was about the history of St Patrick’s Day. I was intrigued. I had to find out how this unusual celebration could connect to my life. Briefly, and this is a very brief overview, Patrick, born in Britain (AD 385), was taken captive at the age of sixteen by Irish pirates when they invaded and destroyed his village and was sold as a slave. Through his harsh life he turned to God for comfort. He would pray many prayers during each day and his faith grew. After six years of slavery he received a supernatural message of plans for his return home. Upon escaping and returning home, he went on to be ordained as a bishop. Later he returned as a missionary to the Irish to share with them the Gospel about Jesus and leave a spiritual legacy. 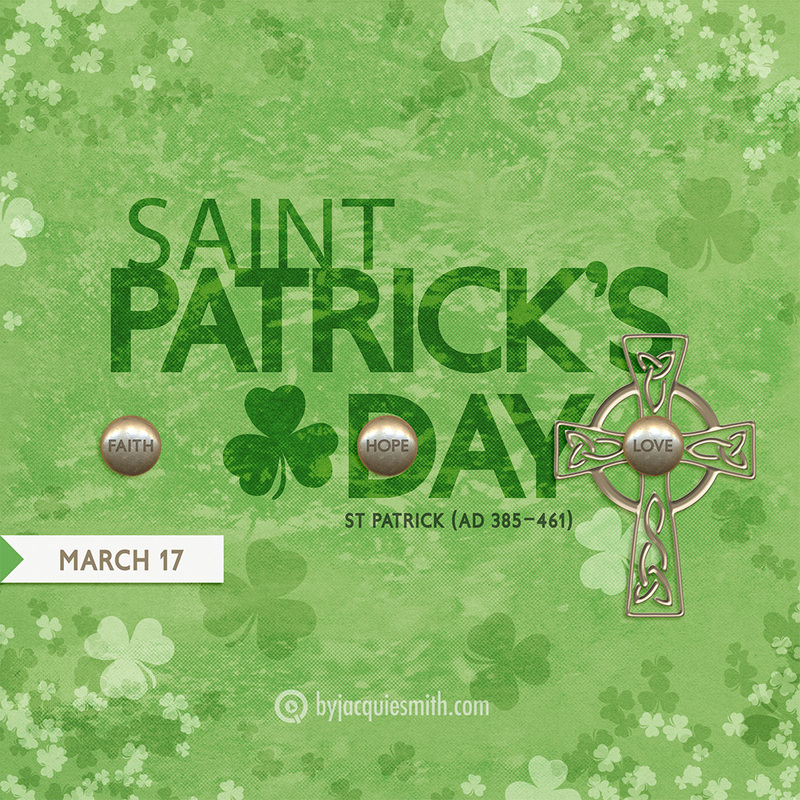 I had no idea of the bold faith and godly character of St Patrick, known as one of the great saints in church history. It is no wonder he is seen as the ultimate model for Celtic Christians today. The story of his life is amazing. I am inspired by his enormous courage. Patrick knew from personal experience that nothing was impossible for God. While he feared his lack of learning be exposed, he was confident, not in his own shortcomings, but in Gods intimate involvement in his life. With that revelation I am challenged about where I place my focus and in what do I put my trust.